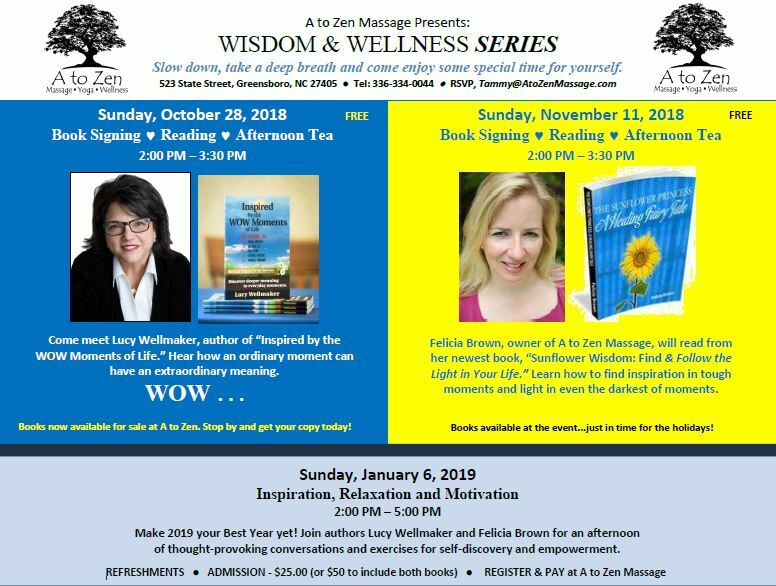 You are invited to join us at A to Zen for a 3 part Wisdom & Wellness Series. The first event will be Sunday October 28th from 2 – 3:30 with local author & Life Coach, Lucy Wellmaker. 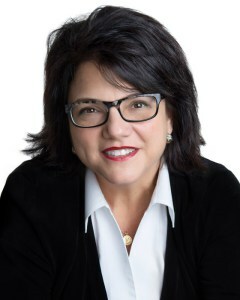 Lucy will do a short reading from her new book, “Inspired by the WOW Moments in Life” , answer questions, and discuss how to find more WOW moments in your day to day experience. A book signing with tea and light refreshments will follow. This event is FREE but we ask that you pre-register as space is limited. 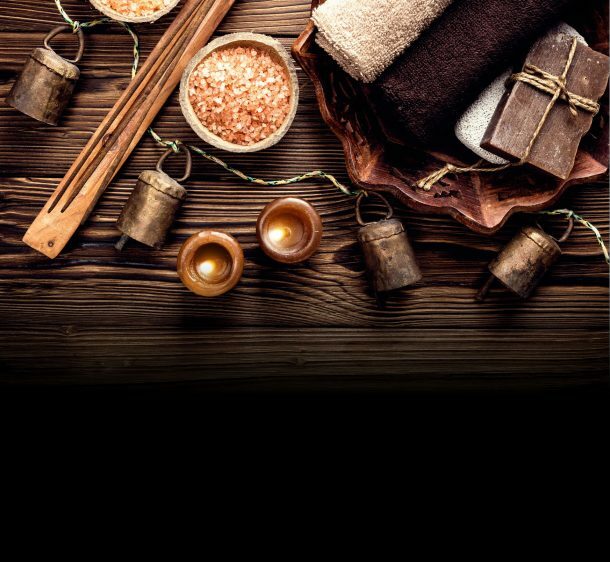 Please CLICK HERE to let us know you are coming! From Lucy’s website: Are you paying attention to your life and to the lessons it has to offer? After paying close attention to her own life and freely sharing her message with others for more than 13 years, Lucy Wellmaker has compiled 33 lessons to share with you in hopes of making a difference. Lucy has a unique way of looking at an everyday moment, seeing the life lesson it has to offer and gaining words of wisdom from the experience. She calls these “WOW Moments”. Once you read one, you will understand the reason why. 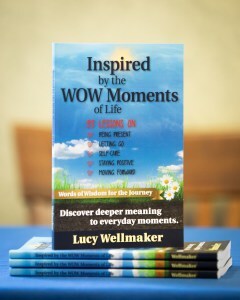 In this book, Lucy takes her “WOW Moments” to a deeper level. Each lesson includes powerful questions to ponder and invites you to discover deeper meaning to your life and uncover your own “WOW Moments”. Lucy’s book is now available at A to Zen for $14.95 each. Get yours today! Join us for the whole series!